The island of Saint Kitts and Nevis, which remains seismically active, is composed almost exclusively of volcanic rocks of andesite or dacite mineralogy. Its geology is similar to that of other volcanic islands in the Lesser Antillean Archipelago. Newer volcanic rocks rest on a basement of older rocks, which are exposed only where newer deposits have been denuded. 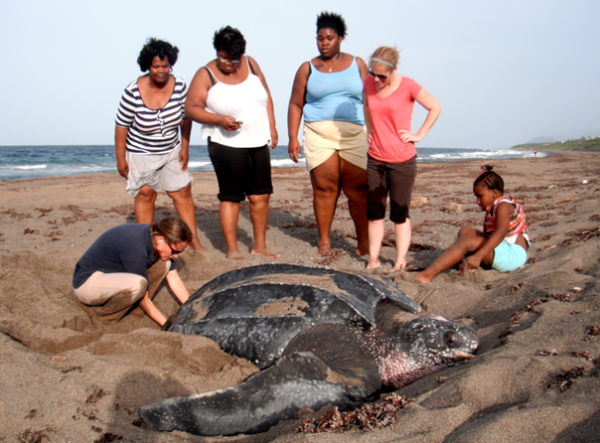 Saint Mary’s Biosphere Reserve is home to one of the most diverse natural communities on St. Kitts, encompassing the marine area and beaches near Canada, Keys and Cayon, and the surrounding tropical forests of the mountain ridge line. Other physical features include long and narrow forested ridges with deep valley ghauts (seasonal streams) surrounded by rolling forested and agricultural hills. Many of the larger ghauts lead to sandy beaches and the Atlantic Ocean.